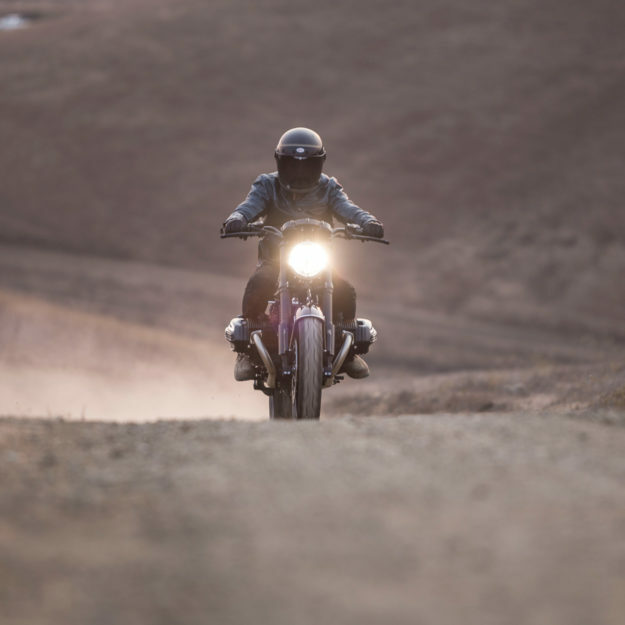 The first time the world laid eyes on the BMW R nineT was three years ago—when it was teased as Roland Sands’ blistering Concept 90. 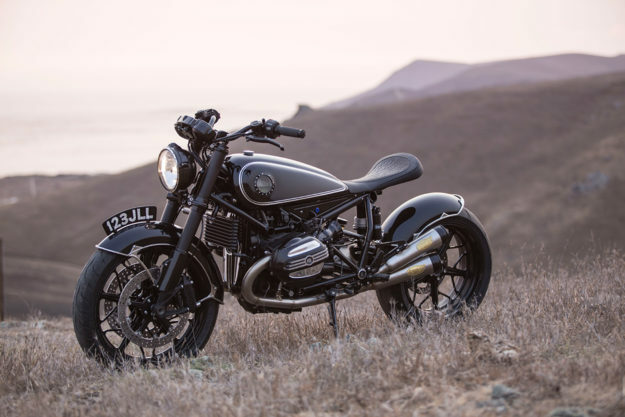 Since then, bolt-on nineT parts have been flying out of the Californian workshop. 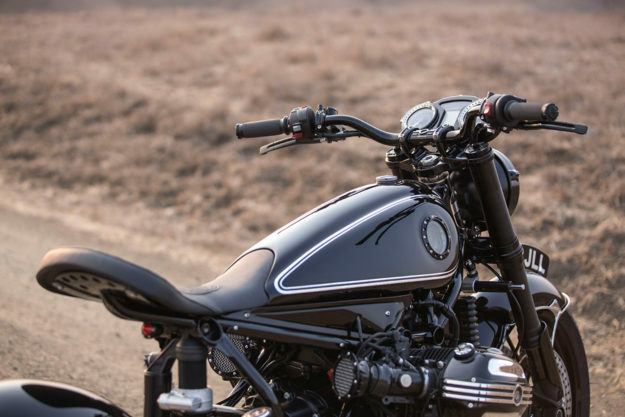 So we were surprised when we realized that RSD haven’t tackled another ground-up R nineT build since. Until now. 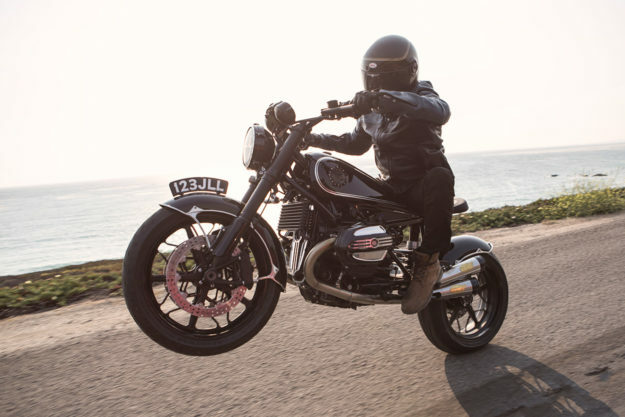 In a different way, RSD’s latest boxer is every bit as retro-fabulous as the Concept 90. 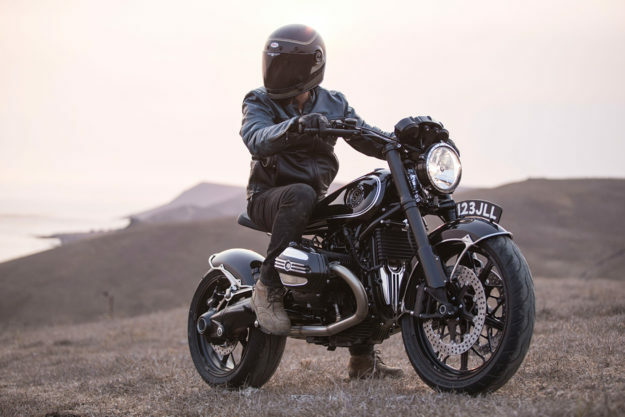 That one was a homage to the iconic R 90 S, but this time Roland and his team took inspiration from elsewhere in BMW’s history. And cut up it is: there’s nothing left out back, save for a svelte new subframe and a solo perch. The seat itself is custom-made—reminiscent of the Denfeld units of old, and upholstered by Bitchin’ Rich. RSD usually handle all their fabrication in-house—and have done so for almost ten years. But a slammed schedule, and a specific concept, sparked a fresh collaboration. The only point of contention was the fuel tank. It was a bit larger than expected, so RSD fabricator Aaron Boss trimmed it down—while keeping it true to Cristian’s shape. He added a pair of sight glass windows at the same time; an idea that RSD had wanted to try. 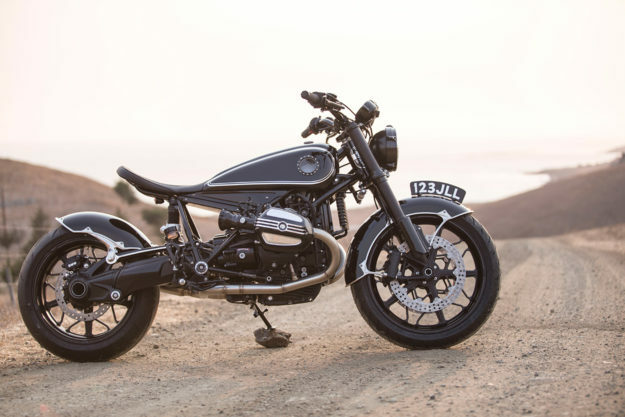 Naturally, there’s a sprinkling of RSD R nineT parts in play too. Everything from the valve covers, to the headlight and dash bezels, grips and controls are company items. There’s a new gas cap from Bung King too. A number of stock parts have been retained—but coated black. 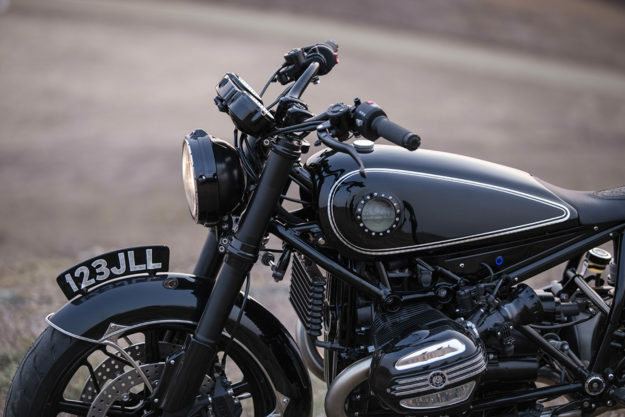 Specialized Powdercoating handled all the coating work, while Chris Wood at Airtrix shot the bike in a ultra-vintage black and silver scheme. 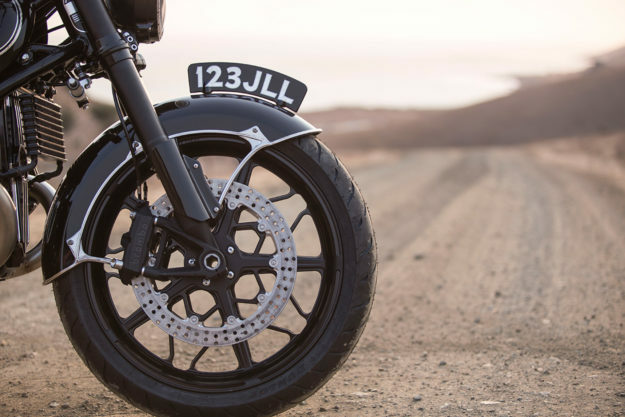 Tom Clark handled the hand lettering for the ‘pedestrian splitter’ on the front fairing. 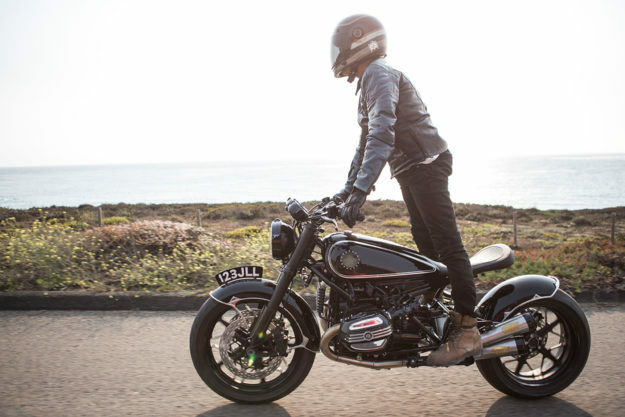 It’s a gorgeous motorcycle, but it’s way more than just a styling exercise. Roland’s background is in racing—and it shows. For starters, specialists GP Suspension rebuilt the front forks. They’re now packing a cartridge kit, black powder-coated tubes and black DLC (diamond-like coating) stanchions. 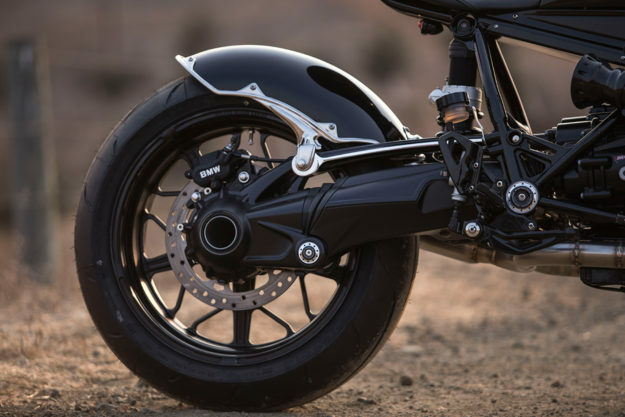 There’s a blacked-out Öhlins shock out back too. The wheels are RSD Hutch units, with the front getting a size bump, from the stock 17” to 19”. Along with the bigger wheel, RSD fitted their own brand discs, new Brembo Monobloc calipers, and Spiegler lines. Dunlop supplied the tires: a D208F up front, and a Q3 out back. RSD also built a new, stainless steel, two-into-one-into-two exhaust system, capped off with their new Track mufflers. RSD velocity stacks do duty in place of the original air box. 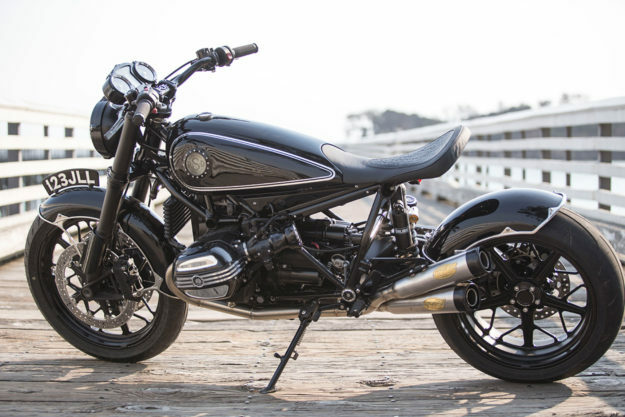 RSD’s R nineT is about as perfect a modern classic as they come. 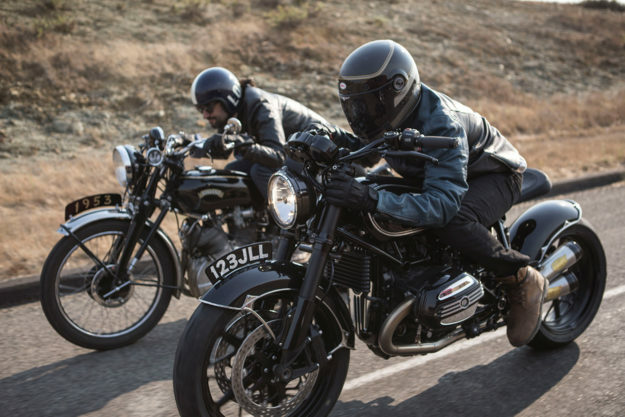 It has all the performance you’d want from a contemporary machine, but wrapped in a timeless package.